Ample FREE parking is available! FREE Nebraska Lottery Scratch Ticket to the first 600 people who enter the Home Show! Valid Friday, February 8, 2019 only with paid admission. Must be 19 years or older. Every year in February, the Home Builders Association of Lincoln organizes the Nebraska Builders Home and Garden Show. This fabulous show lets you talk with many businesses under one roof so you can get your home project quoted and scheduled quickly. Cooking demonstrations and much more! We have 47 years of history in Lincoln and are the largest show in the market! Fall in love with your house again at the Nebraska Builders Home & Garden Show! 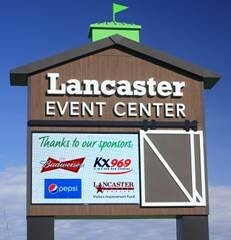 The Lancaster Event Center provides a list of nearby hotels here. Discounted rates may apply.